Christmas has finished and with 2009 looking like it will be be a bad year for the economy in general, I have been considering whether the recession or credit crunch [or whatever it is called] will have an effect on web design business in 2009. I have a few actions/objectives ready to go [partly as a result of a free business advice consultation with Business Link a few weeks ago] and I cover a range of web-related activities … so I am hopeful that I will be able to survive the downturn. However, I have also been considering alternative potential income sources just in case. During my thoughts on this subject, I stumbled on the dilemma of diversification or specialisation. When developing new sources of income, is it better to spread your activities a bit or concentrate on the areas that represent your core skills? Diversification is an area that can be worrying because there is a real danger that you will ‘spread yourself too thin’ and it’s something I have been concerned about in the past. However, perhaps it is necessary? Here are two ideas that I have been considering. In the last few weeks, I’ve been very impressed with a website called ThemeForest which sells website templates and WordPress themes. I wonder whether I should become an author and start designing some website templates for the site. One advantage of this idea is that it taps straight into what I normally do for clients so it is not diversification as such but rather building on a core competency. The income from this is not likely to be anything more than some useful pocket money but definitely something for further consideration. In a different vein, I send out the occasional email newsletter for Horsham Pub Guide using an excellent web-based application called Campaign Monitor. I have written an article about Campaign Monitor before. It really is an excellent application that is a joy to use. In recent months, the Campaign Monitor team have merged two parts of their application so that it is now easier for web designers to market the application to clients and even to rebrand it as their own. Should I be marketing this more to clients? There is a higher income potential with this option compared with website template designing but it is a more diversified activity. There are still elements of CSS and HTML that would require my input but there’s a lot more to email marketing than my current web design skills. On the other hand, the Campaign Monitor website does a great job of supporting its users. These are two potential income sources that I need to think about carefully. There are several key points to consider including: (i) should I jump into these new activities head-on or market them as ‘add-ons’ to my current activities; and (ii) the whole ‘diversify or specialise’ debate? 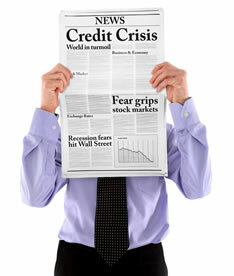 What are you doing to combat the effects of any recession? Do you need to do anything at all? After all, perhaps clients will ramp up their web-based business [thus generating more work for web designers and developers] to compensate for decreased profits in other areas? I have read somewhere that as long as you have a strong online presence the downturn will only have an impact on the weaker sites, as more investment will be made online to help reduce marketing costs. I think that offering good design services and marketing yourself to the right demographic will see you through.